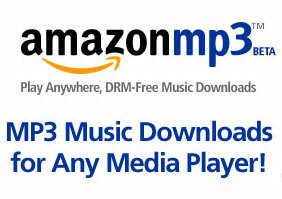 So everyone and their dog is talking about Amazon’s announcement today to offer MP3 downloads. In brief, Amazon MP3 songs are DRM-free and start at $0.89/track with the top 100 best-selling albums priced no higher than $8.99. The store opened with 2 million songs from 80,000 artists. EMI and Universal are the two big labels on board. Song quality is even very high – 256 kbps. All of this, of course, is available via iTunes for $1.29/track or $9.99/album. So I decided to give Amazon MP3 a try. The truth is, I buy most of my music from Amazon anyway. I hate DRM and am rarely in a hurry to get music. I [used to] order CDs via Amazon (with free shipping) and immediately rip them to my computer. I use iTunes for all my music organization but only use it to purchase new music when I’m interested in a single track (rather than a whole album). My first move was to check out my Amazon wishlist to see which albums I have been thinking of purchasing. I came across Nine Inch Nails latest, Year Zero, priced at $9.99 as a CD. I searched for it at Amazon MP3 and found it priced for only $7.99! Curiosity about a new service plus an automatic 20% price drop equals me buying an album today. The purchase process was very slick and simple. A one time download is required, but it downloads and runs in seconds after which the album begins downloading. Right away, Amazon MP3 detects what your default music platform is (iTunes for me) and copies and adds the new songs in the exact same way they would have been added had I purchased from iTunes directly. I do nothing to set this up. I think Amazon will likely cannibalize plenty of its CD sales (and that’s just fine, as it’s where the industry is going anyway). But Apple should be worried. Sure, I love and use iTunes daily. But now more than ever I’m unlikely to be purchasing from it anytime soon. As a music retailer, Amazon offers a higher quality product for much less and without any switching hassle. Next: Why Are Companies So Horrible At Pre-sales Customer Service?